The City of Dallas holds its annual Easter Egg Hunt at Heritage Village at Old City Park April 13. With four hunts for different ages and thousands of eggs to find, this should be a great place for egg gathering. The fun starts at 10 a.m. with Barnyard Buddies, while egg hunts start at noon. Live chamber music will be performed by UTA String Quartet at 1 p.m. The recital lasts approximately one hour, and includes a short talk back. Free with regular admission to Heritage Village. For more information, visit dallasheritagevillage.org. By the Horns Brewing, 109 S. Main Street in Mansfield, is kicking off celebrations early. They’re hosting an Easter party and fun for the whole family April 13. The new brewery promises food, drinks, live music, Easter bunnies and egg hunts all day Saturday. Because everyone deserves Easter treats, By the Horns will have separate Easter egg hunts for adults and kids. Plastic eggs filled with goodies will be hidden throughout the bar’s backyard. Naturally, kids’ eggs will be filled with candy. Adults’ eggs won’t contain candy, but they will contain gift cards, free taco coupons, By the Horns shot glasses and other festive delights. Egg hunts will take place four times throughout the day. Noon –First adult hunt. You must be 21+ to participate. For an extra challenge, you have to carry the eggs you find in your own clothing—no baskets allowed. 1 p.m.–First kids’ hunt. Baskets are allowed, so let your kids go wild. To keep things reasonably organized, and to ensure everyone has a chance to find some eggs, there will be a 50-person limit each round. Between bouts of competitive egg-finding, kids can have their photo taken with an Easter Bunny. Adults can relax with a nice Bunny Mary or some Peep Frosé. Stick around after the egg hunts are over, because a live band will hit the stage at 4 p.m. 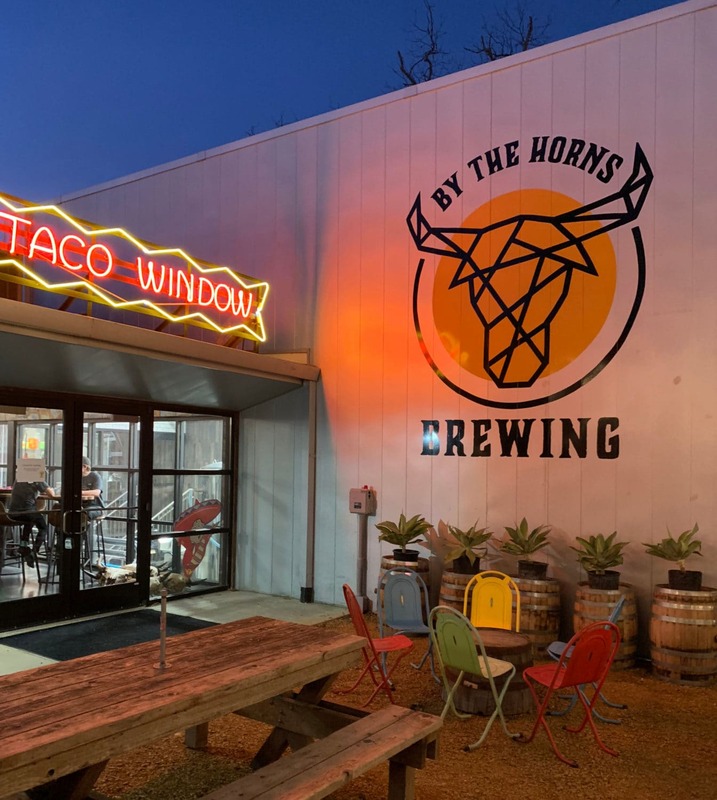 Guests can enjoy By the Horns’ house-brewed beers and delicious food from Tacos & Avocados throughout the day.